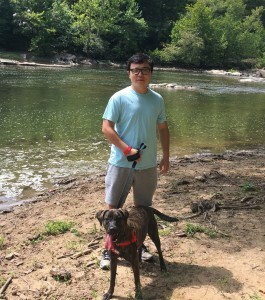 Yue Du joined the BLAM lab as a Postdoctoral Fellow in July 2018. He received a bachelor’s degree in Mathematics and Applied Mathematics from Beijing Normal University and PHD in Kinesiology from University of Maryland, College Park. His research was focused on how children and adults learn motor sequences differently. Yue’s long-term goal is to use behavioral studies, computational modeling, and functional neuroimaging, to unravel how cognitive processes interact with different aspects of motor actions (i.e., action selection, motor planning, and movement execution). He is also interested in the multiplicity of motor learning processes: How distinct learning processes are interactively implemented in the brain and what are their functional roles in learning and memory that operate across different timescales (i.e., consolidation, retention, generalization, habit formation).